The delivery event management system within Gravity enables subscription to anything that happens within Gravity. Gravity will post events for every action that it performs. The event system will make sure that the event is delivered by storing it in the database and performing its delivery as soon as the user is signed-on. 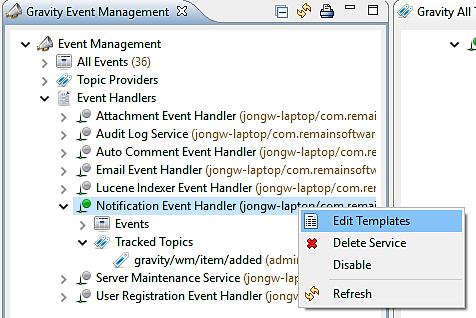 Gravity has the event processors to perform all sorts of tasks like auditing, process triggering, notification, e-mail, and others.